Today Riko, Nathan and I headed out for a GMR Hustle. Unfortunately, while waiting for Riko, Nathan noticed his tire was in poor condition. Nathan's tire was in no condition for riding the back roads of GMR so we decided on Bonelli. Really we had no agenda, and the ride consisted of sprints to the the next light or up the next hill. 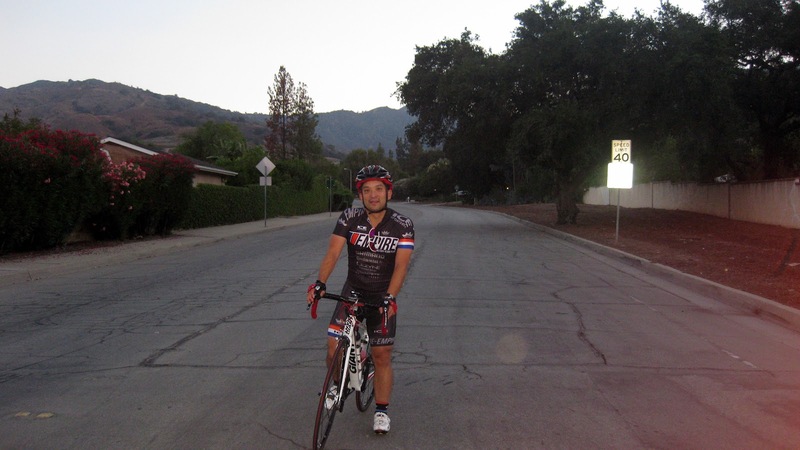 We rode Ganesha Hills, Bonelli Park, Heckler Hill, Canon, and whatever else we could find and bear. There was no agenda to this ride, it was just us dudes having a good time and leaving the work week behind us.